When it comes to store your food, aluminium wrappers have become the norm today. But how safe are these to use? 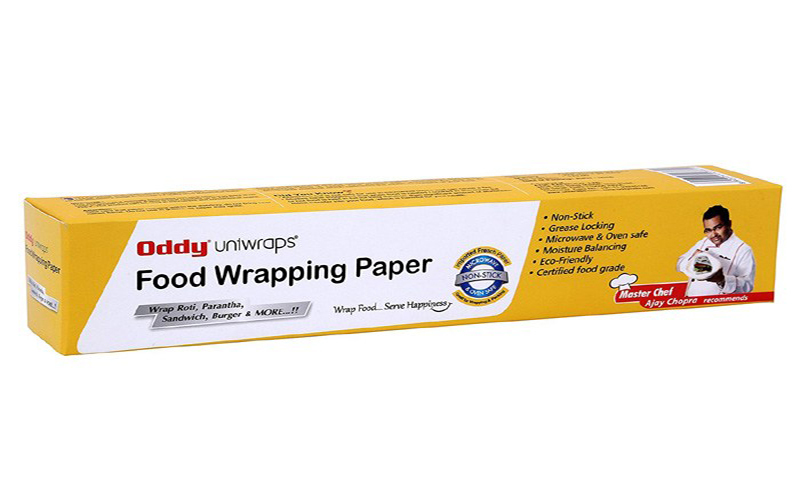 Wrapping food with Oddy Uniwraps keep the food fresh by retaining the moisture. Also, Aluminium foil reacts with hot food. For instance, if we wrap hot Roti with Aluminium foil, a chemical reaction is very likely to happen. Aluminium foil is used in oven based cooking for example, roasting and baking. Being a highly reactive metal, it is temperature sensitive. When the food is wrapped in the Aluminium foil, leaching occurs and gets absorbed in food. Aluminium is more likely to leach in these conditions: at high temp., in acidic and spicy foods, liquid food solution like lemon and tomato juice. But with Uniwraps you have no such fears as it is made from biodegradable materials. Next time, opt for a healthier option when you pick your foil. Copyright © oddyindia 2016. All rights reserved.